Fashion is a vehicle, a tool; it enables individuals to not only express themselves through visual statements but explore and construct an identity while conforming to or subverting elements of their identities such as class, gender and race in a creative way. 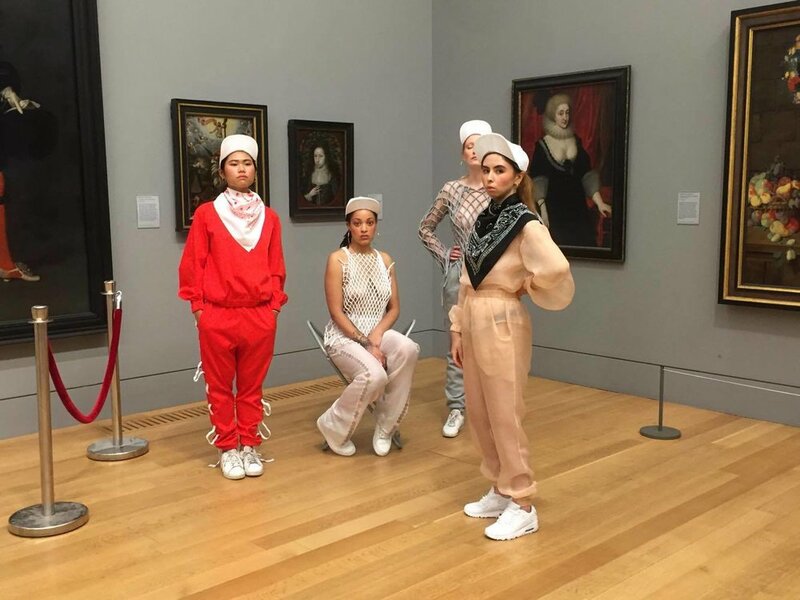 And, at a time when topics such as cultural appropriation and the rejection of gender norms is ever present and topical, London’s Tate Britain gallery held an event which pushed the conversation even further. 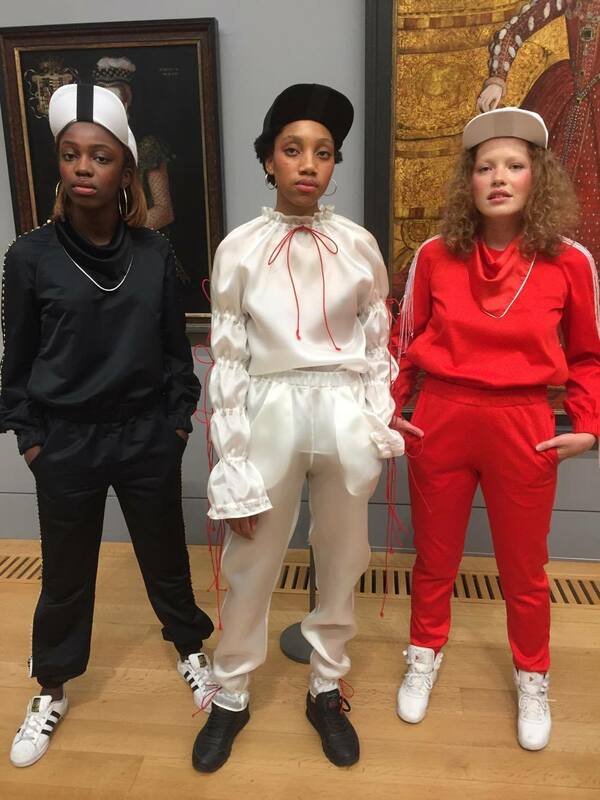 Late at Tate Britain: Stance was an event that explored the roles gender, race and class play in contemporary fashion. Drawing on the gallery’s own collection of sixteenth century portraits, contemporary designers, stylists and photographers seek the reclamation of their own cultural identities through fashion. Ibrahim Kamara, having recently worked as a stylist on Sampha’s new short film Process, is one of the leading voices in the new generation of artists taking over London’s fashion scene. Inspired by the historic paintings in the Tate’s collection, he collaborated with photographer Kristin-Lee Moolman to produce a limited edition zine for the event. The exclusive publication sees Kamara reclaim his childhood nickname Coachie to portray his “version of what royal characters are”. It is royalty reimagined in a contemporary context, exploring the boundaries of gender, masculinity and race as well as fashion itself. Kamara and Moolman exhibit regal, esoteric portraits that create a conversation with the viewer, inviting them into this recalcitrant fairy-tale world where they unfurl a new vision of black masculinity and reject gender normativity. The event also featured a weaving workshop by the designer Bethany Williams, showcasing her sustainable approach to fashion, as well as Jenna Young’s luxury womenswear brand This Is The Uniform, with models wearing the clothes alongside the portraits themselves. The historical, elaborate dresses of the royal figures were set in direct contrast with the revamped tracksuit silhouettes of This Is The Uniform’s designs, playing with contemporary ideas of luxury by placing them in a whole new context. 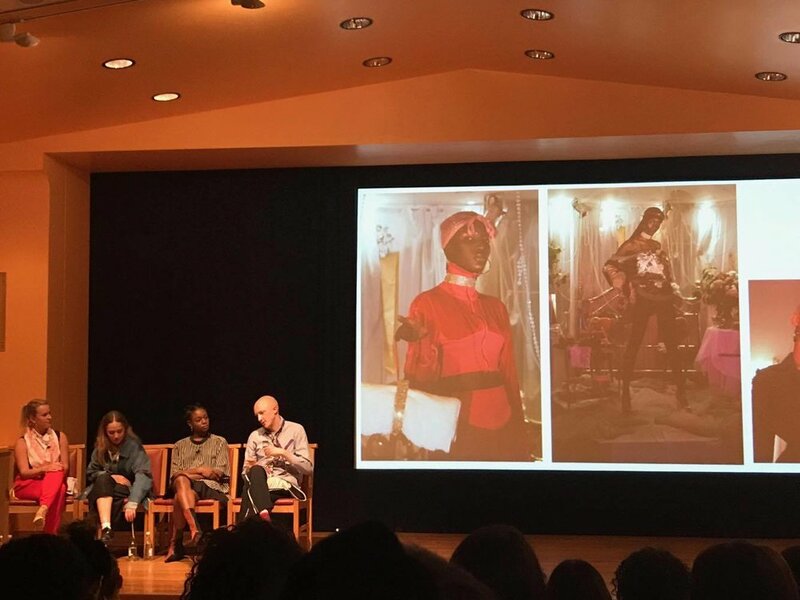 A panel discussion at the event, led by Finn Mactaggart with panellists Rhea Dillon, Bethany Williams and Jenna Young, debated the politics of fashion, specifically the appropriation of working class aesthetics as well as activism and diversity within in the fashion industry. Mactaggart poses the question “is fashion an elitist pursuit” when “everyone wears clothes” meaning “we all have a dialogue with fashion”. Jenna Young discusses the way her brand forces a dialogue between working class fashion - with the stereotype of the tracksuit – and luxury fashion. She uses the narrative of the tracksuit but instils value into it. With a working class background that clearly influences her work, Young remarks “our Sunday best was an Adidas tracksuit” but “we could only afford two stripes not three”. The tracksuit has that aspirational luxury element and, to Young, appropriation in this context means elevation and appreciation, elevating the tracksuit above its working class status by making them couture. 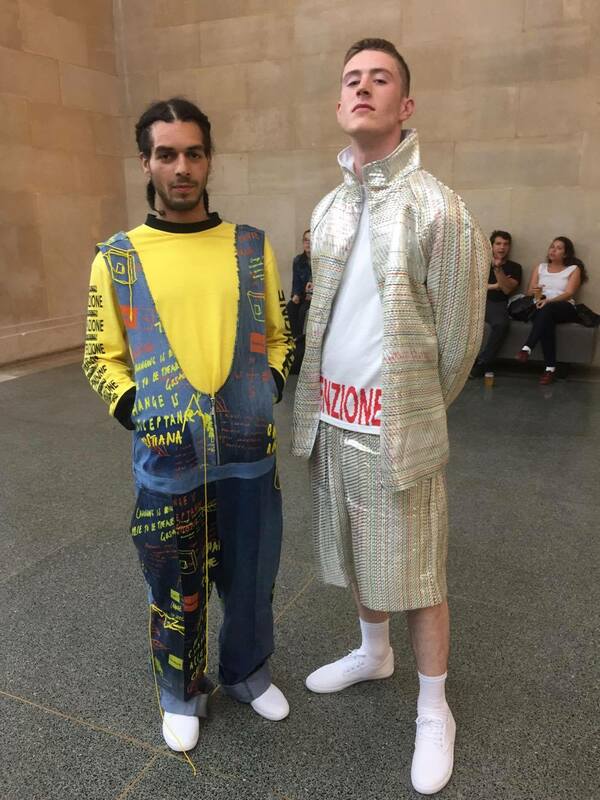 But, with a pair of This Is The Uniform “joggers” priced at £290, does this merely perpetuate the idea of couture fashion as completely unattainable for the working class, which now goes so far as to take their own symbolic uniform from them? Although perhaps elevating the status of the tracksuit, it allows people with money to adopt this persona, Young herself saying “it’s cool to be working class now”. One thing discussed by the panel is the idea of fashion houses having diffusion lines, entirely separately marketed items at a lower price, set apart from the almost “designed not to be worn” runway items. Diffusion lines still allow people to buy into this exclusive club, they give a small taste of luxury to those who cannot afford a whole bite and, in a classist society such as ours, panellist Rhea Dillon argues, “luxury will always exist, no matter what class you are in you are always looking up”.